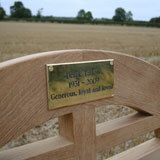 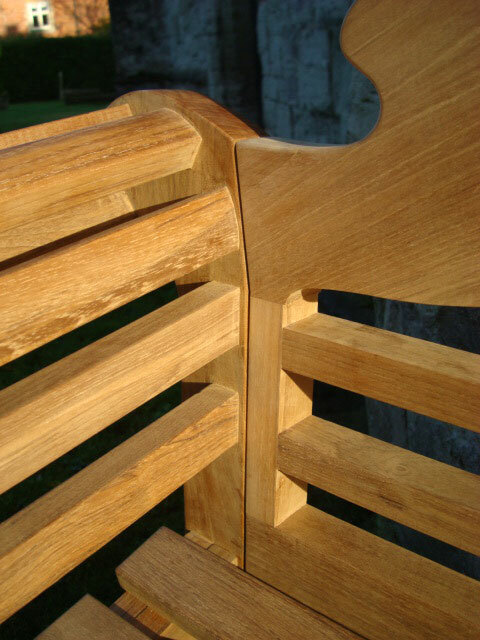 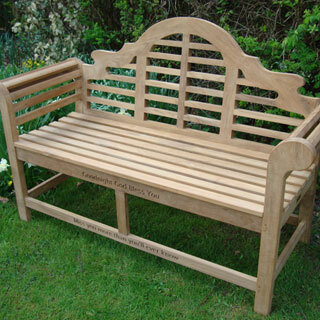 This Teak Lutyens Bench is inspired by the English architect Sir Edwin Lutyens find our more . 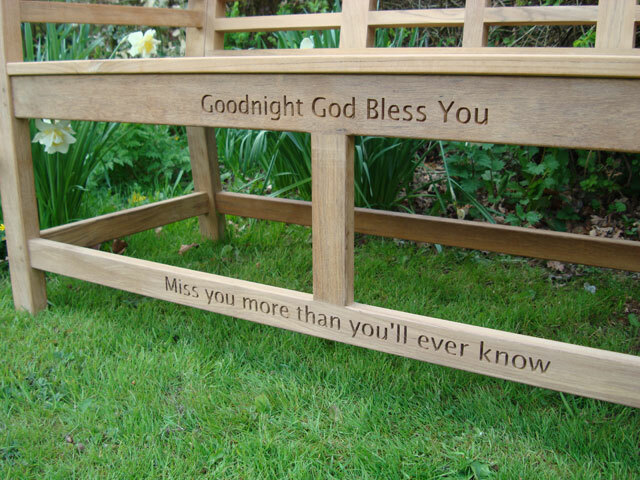 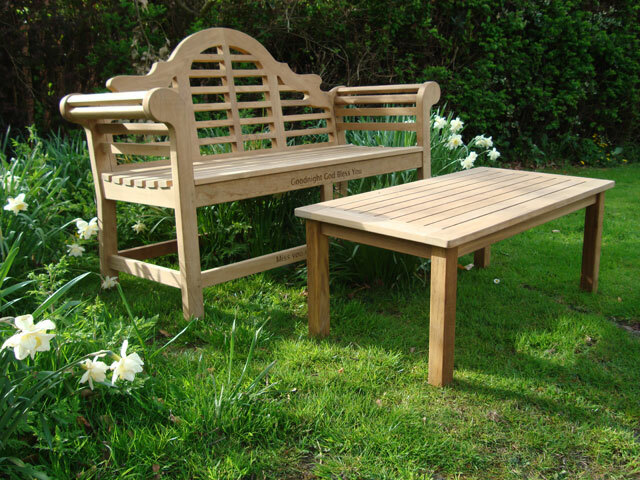 Constructed entirely of teak, this classically designed garden bench is built to last and will age gracefully. 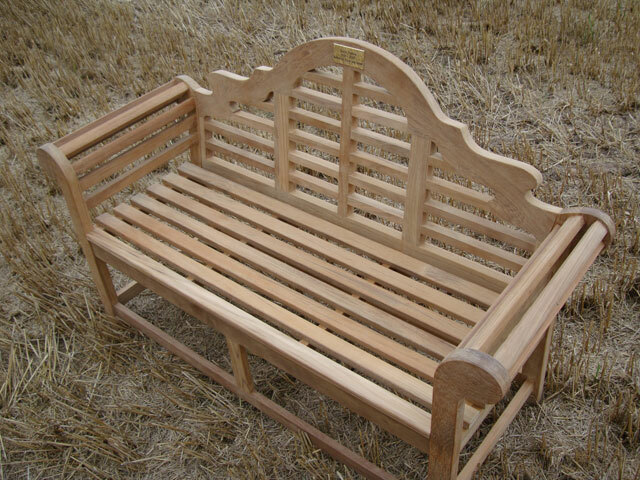 This bench should not be confused this cheaper hand made example, ours have machined mortice and tenon joints, they are shipped to us flat pack and boxed, so they arrive in perfect condition. 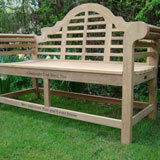 This is a British design classic perfect for your garden. 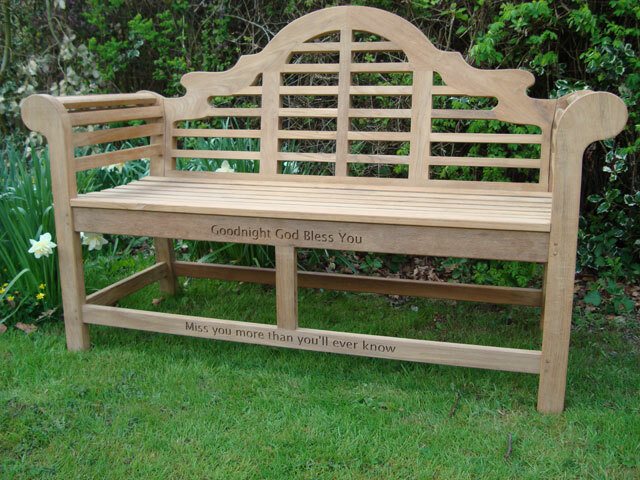 We would not recommend this bench for public spaces. 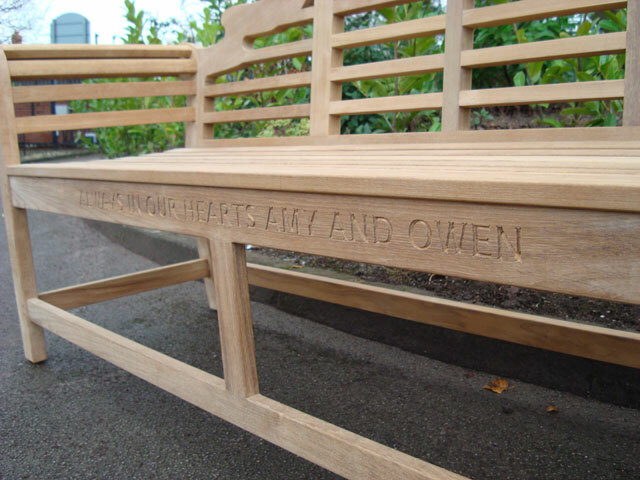 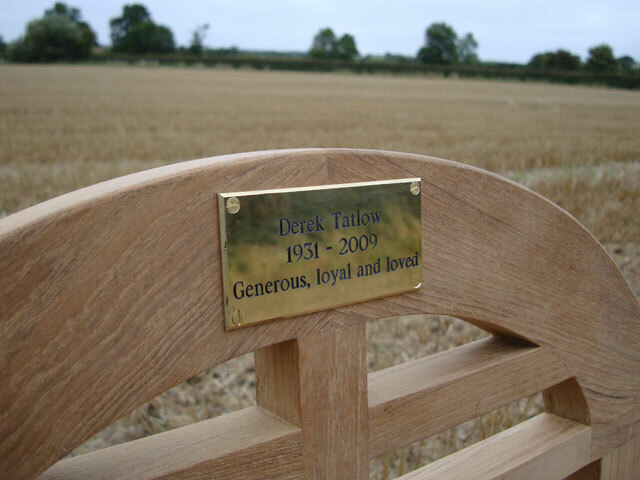 The maximum number of carved letters for this bench is 25 on the top curved rail and 55 characters (including spaces) on the seat front rail.